The name you know. Professionals you trust. 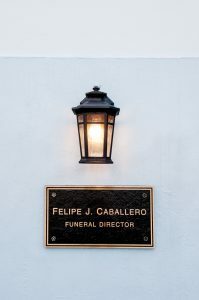 Graceland Funeral Home and Cremation Services’ roots in this community run deep, and it has been our privilege to serve the people of Miami-Dade and Broward Counties since 1936. We’ve been in the same location for over 30 years, and the warm atmosphere of our newly renovated facility will make you and your guests feel right at home. Whether your needs require a traditional burial with a fully personalized service or cremation with a simple tribute, our highly experienced staff will help you put together the memorial your loved one would have wanted. A name you know. Professionals you trust. Our roots in Miami grow deep, and we truly know how to serve this community.